Rt. 42 to Mt. Zion Road to Hathaway, or Rt. 18 to Camp Ernst Road to Hathaway to Tayman. Another $20,000 PRICE REDUCTION AS THE NEW HOME IS ALMOST READY!! COME TO THE COUNTRY WHERE IT'S QUIET, SERENE WITH FRESH AIR! Tayman Estates is private, serene and beautiful with only 17 homes and NO HOA! 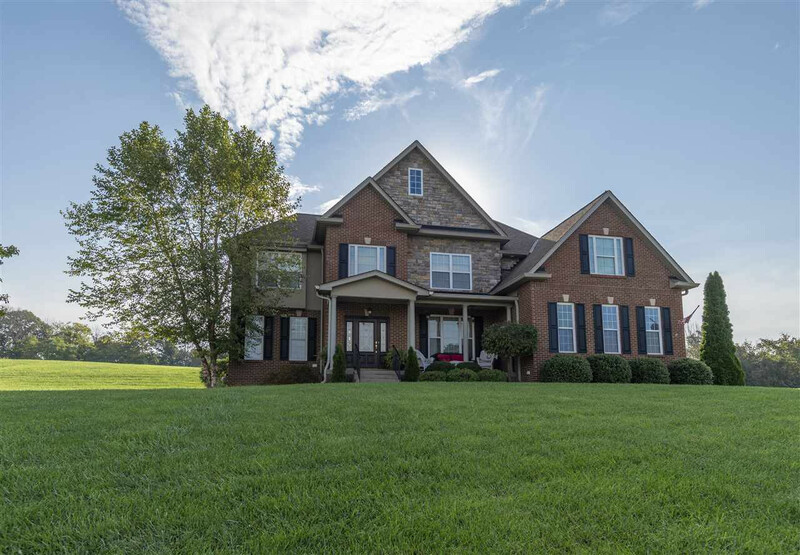 There are 4 bedrooms, 3.5 baths, great room with a 25' stone fireplace, gourmet kitchen with large island & ample maple cabinets -- a true chef's kitchen! There is a "panic" room in the basement! The built-in garage for 3.5 cars has a lift to store unused items. The real surprise is a separate all brick 24' x 36'garage that will house 4 cars! Also, the driveway is extra wide! This listing courtesy of, Jan Alexander Realty .